You are here: Home » United States » America Under Attack » Prophetic dream reveals America’s buildings are on fire. When the student removed part of the wall, smoke came out as air went into the cavity. Soon, flames came out. 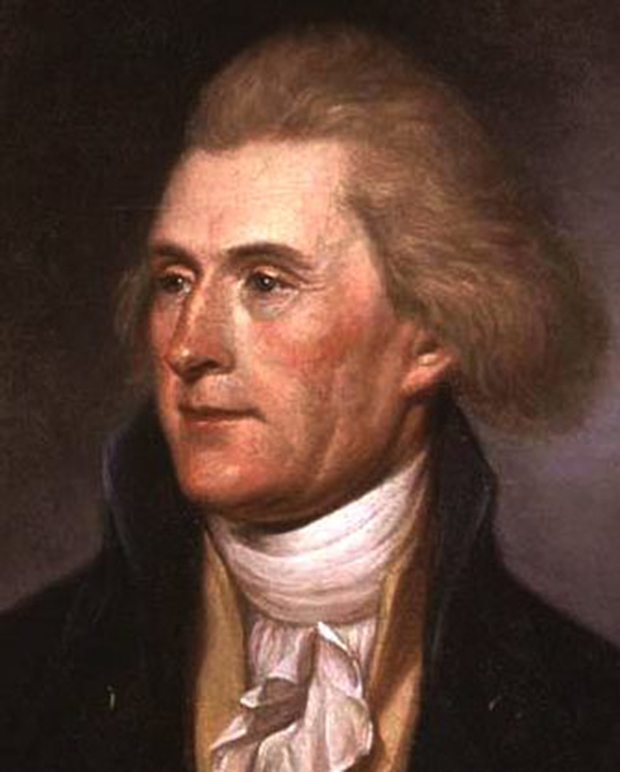 Jefferson then picked a few hardy brave male students and gave them water wands, like you would see at a car wash, and instructed them to go into the walls and crawl spaces and use a water/chemical solution to extinguish the fire and coat the walls with the fire retardant chemical. They did and the dream ended. “I sincerely believe that banking institutions are more dangerous to our liberties than standing armies. The issuing power should be taken from the banks and restored to the people to whom it properly belongs. Jefferson warned the danger posed by banking institutions should be taken more seriously than foreign armies, yet our generation is oblivious, just as the students in Jerry’s dream were unaware of the fire. What has happened since the passage of the Federal Reserve Act is exactly what Jefferson warned about, starting with inflation, which was not a problem prior to 1913, but became a huge problem since then with the dollar losing 98% of its’ purchasing power. Jefferson warned the bankers will next cause deflation, confirming what I saw in a series of dreams, which I have described as the final four seasons of the U.S. dollar. I saw the U.S. dollar getting so strong compared to other currencies, it was causing tremendous hardship around the world and even caused China to threaten to declare war. Eventually, it resulted in a reset of the dollar, which caused great turmoil in global financial markets. Jefferson also warned about the unimpeded growth of large corporations as the bankers use their unlimited wealth to take control over our government leaders through bribery, extortion, murder, and whatever means they deem necessary. 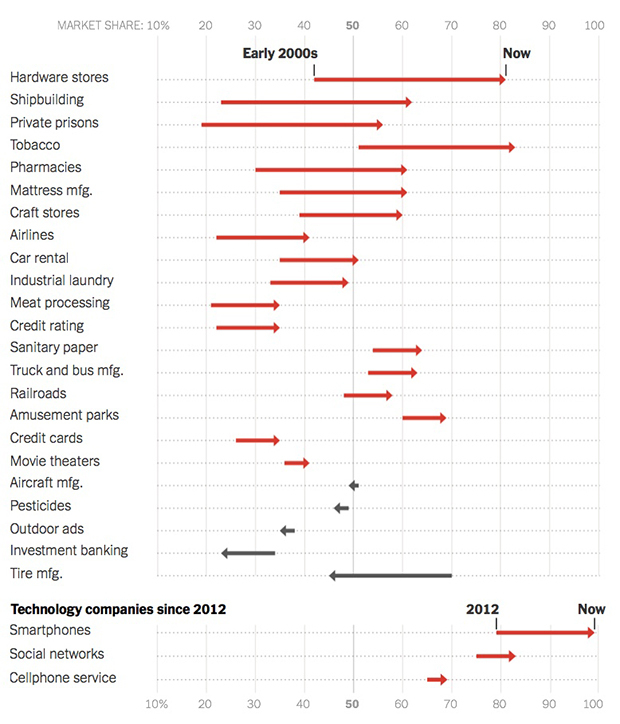 The chart below shows how U.S. markets today are dominated by fewer and larger corporations than ever before, as demonstrated by their growing market share. These alarming trends would not be possible without consent from all branches of our federal government, evidence of the bankers success in merging our government and corporations into one and the same entity, which is commonly known as fascism. We’ll never hear the mainstream news media describe America as a fascist state, but that’s exactly what it has become. In a republic, elected government representatives defend the interests of the people by standing against corporate interests as needed, but in a fascist state, government representatives take sides with the corporations, leaving no one to represent the interests of the people. Men like Thomas Jefferson laid down their lives to establish our nation as a republic, but the life of our republic was cut short when we allowed the bankers to take control. Thomas Jefferson would have opposed the 1913 Federal Reserve Act because he argued that Congress has no authority to create a bank and give it a monopoly over our money because such actions “are not among the powers specially enumerated” in the Constitution. Had we followed the wisdom of our founders as laid out clearly in our Constitution, we would never have lost our republic, but in the halls of our government today, the Constitution has been drowned out by the far louder voices of the bankers and their corporate deep state cronies. Contrary to the popular narrative we’ve been bombarded with for as long as any of us can remember, fascism is not a right-wing ideology because the right wing of conservatism seeks to empower the people by limiting the power of the federal government to ensure the interests of the people are represented in all dealings with corporations. By contrast, the left-wing seeks to empower the federal government with greater control over all aspects of our economy, but not to protect the interests of the people. Progressives have sold out to the interests of the bankers and corporations because they are harlots, loyal only to their own power and wealth, purchased and owned by the bankers and corporations. This is why fascism is as far left-wing as it gets, making it a kissing cousin with communism, which has been rebranded in America today as progressivism. The monsters behind America’s fascism have sought to brainwash us with the idea that Adolf Hitler was an extreme right wing fascist, hoping to convince us to avoid his mistakes by giving our support to left wing progressives, but Hitler did exactly the same thing progressives in America are doing today, removing the boundaries between government and corporations, which is why we must understand these differences. Well said, James. You must be a teacher at heart. I’m sure you’ve read and I recommend to others for deeper study, to read “The Creature from Jekyll Island” by G. Edward Griffen. Thanks James. Excellent post James! Most people do not fully understand how President Woodrow Wilson sold out the American people when The Federal Reserve Act was signed into law on December 23, 1913, creating the Federal Reserve System when there is nothing “Federal” about it! The excellent book referenced by Stephen K, shows the planning and creation of circumstances to make the public at that time, compliant in allowing the wealthy bankers to create a private corporation under the guise of preventing future financial panics and crises. The creation of the Federal Reserve was in violation of the Constitution that prohibited the printing of the nation’s money to be done by any non-government entity! Yes, I so agree. Thank you for the references. We will watch them. James, I seldom share anything on the internet anymore due to the intense hatred I usually receive back, but I find this very interesting and I do agree with you 100%. I have never trusted banks and neither have many elderly in my family. Thank you for laying this out so that it is very easy to understand.